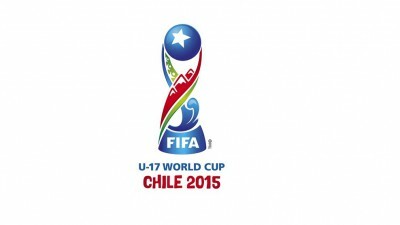 This year’s FIFA U-17 World Cup starts on Saturday to very little or no fanfare at all. There has been no pomp and pageantry, no road shows; none of the usual pre-tournament hysteria that normally characterizes the ‘major’ global footie showdowns – and understandably so. Who cares about some precocious teenagers, who are most likely all wet behind the ears, probably just learning how to properly tie their boot laces taking to the field to exhibit their footballing skills in its rawest form? Especially when time spent engaging them could have better served its purpose – for what it’s worth – if it is focused on other alluring enticements and competitions like the English Premier League and the other stellar European leagues? It will be foolhardy to expect the kind of euphoria and fever that gripped Chile pre, during and post Copa America being replicated on Saturday. It won’t even be close but the thrill in all of this is that, for those who will be following the tournament, this is the best platform to see some of tomorrow’s world superstars at first hand in all the innocence before the claws of professional football life grips and corrupt reprograms them. This is the perfect occasion to see the pure passion, the jaw-dropping howlers, the brow-raising exhibition of unalloyed footballing skills and the display of raw emotions. The U17 world cup is always a special tournament. Here is a brief preview of the tournament and a bit of lever to help you make a sense of what to expect when the actual football kicks off in Chile. For our context, we will be focusing on the African challenge as Mali leads the line this time round. The last few years have been exciting for Malian football. Maybe not necessarily with the senior team, but the fruits the successes of the junior teams have chalked over the stretch are threatening to be sweeter than ever anticipated. The Young Eaglets, like their seniors (the vintage U20 Malian team in New Zealand), qualified to this tournament to be held in Chile in grand style. They saw off Cote d’Ivoire, South Africa and Cameroon in the group stage to book a place in the semi-final – and by extension Chile – before the brushed aside the challenge from Guinea, and then stepping forward to complete the double over South Africa to win their first ever continental silverware. No mean feat for them, but certainly not their first. They may be relatively inexperienced at this level – their three previous appearances at the world stage resulted in group-stage exits – but the case could be different as their seniors may have bequeathed them the perfect blueprint to follow after their exploits in New Zealand. They obviously head into this with a huge weight of expectation on their shoulders – both from home and an expectant continent. They will be looking to make the latter stages of the competition, but to do that they would have to say a word or two about the threats of Belgium, Ecuador and Honduras. As with every U17 team, very little is known about the main actors as most of them are still very inexperienced and are diamonds buried in the rubbles deep down the rough, but it will be wisdom to keep an eye on the following forwards; Boubacar Traore, Sidiki Maiga, Mohammed Haidara and Aly Mane. While the midfield core Mamadou Sangare, Moussa Diakite and Dramane Simpara provide a strong helipad on which all their attacking threats will be launched. When South Africa failed to make it out of their group in yet another tourney they were hosting – the Championship of African Nations (CHAN) 2013 – the general consensus was to go back to the basics and start all over again right from the grassroots. That began a long and painful journey to the high echelons of African and indeed world football. Two years down the line and its first product is ready to be tested at the world stage. The Amajimbos will be making their first ever appearance on the world stage in Chile. The fact that they are rookies may count against them but it could also serve as more of a motivation. This team has the potential to write their names in the history books of South African football but, before any of that materializes, Athenkosi Dlala, Nelson Maluleke and Kathlego Mohamme will have to propel rest of their teammates to surmount the challenge of Costa Rica, Korea DPR and Russia in Group E.
The South Africans qualified for the World Cup by holding Mali and Côte d’Ivoire to 2-2 draws, and then beating Cameroon 3-1 in the group stage before they accounted for Nigeria in the Semi-finals and lost to Mali in the finals. Whichever way this goes, one thing is certain: this will be a worthwhile experience and they will be having a thing or two to learn from their time in Chile. In all their previous 10 World Cup appearances, Nigeria only failed to make it out of their group once by the most unconventional of ways. They drew lots with Costa Rica to decide who progressed when they finished equal on points and goal difference at the 2003 edition of the competition. Their nine other outings have been exceptional. The seven previous semi-final berths, with the addition of being reigning world champions with four goal medals in their trophy haul, means there is a renewed sense optimism amongst the Nigerian folk and an ever increasing pressure on the shoulders of those young players to stay the course and live up to the Golden Eaglets’ rich tradition at this level. Never mind they come in as hot favourites, these Eaglets will have to earn their bread the hard way. They face a difficult path out of their group in the US, Croatia and then the tournament hosts Chile. Their form coming into global showpiece is not particularly impressive. They finished fourth in the CAF qualifiers and they will be looking to do better in Chile. Kelechi Nwakali, Victor Osimen and Ebere Osinachi would have to ensure that. With their maiden appearance at this stage at the inaugural tournament in 1985, Guinea will be making only their fourth showing in Chile this year. The Guineans begun their qualification process with a 1-0 victory against Zambia in their opening match. A draw in their next game against pre-tournament favorites Nigeria opened the door to the semi-finals and although they lost their final group game against the hosts Niger, they still qualified to the semi-finals and had to settle for the third place by beating Nigeria in the third-and-fourth playoffs having already lost to Mali.